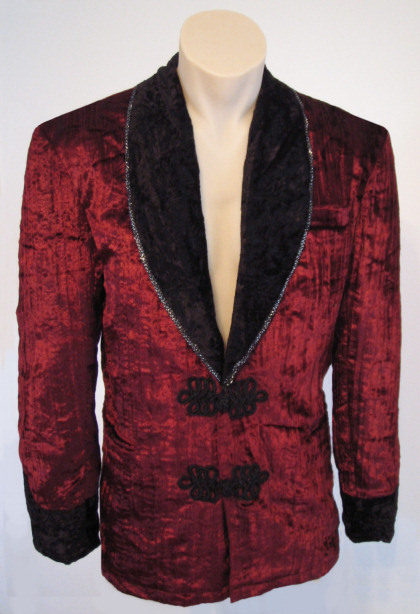 Popular from the 19th century until the mid 20th century, velvet was often the chosen material for a gentleman's smoking jacket. 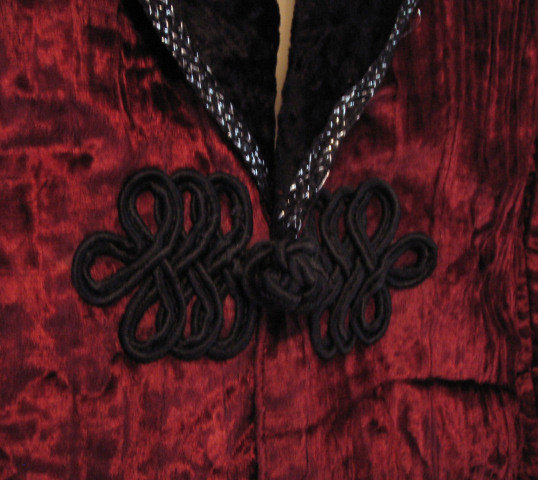 This version features a contrast collar and decorative cuffs along with an ornate front closure and plain unvented back. 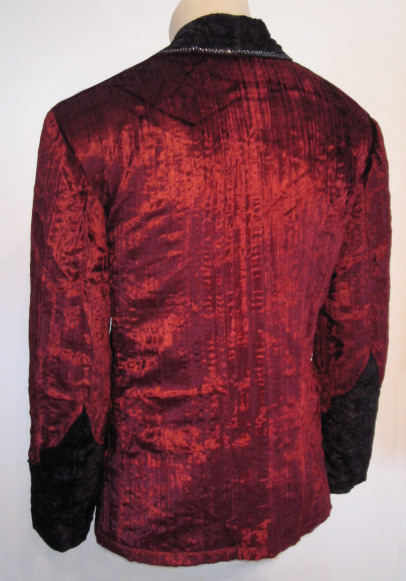 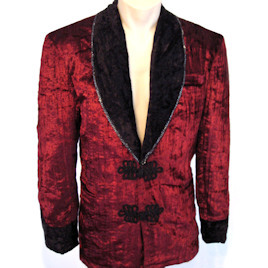 Shown in Maroon velvet body with Black crushed velvet lapel and cuffs, braided front closure and silver trim. 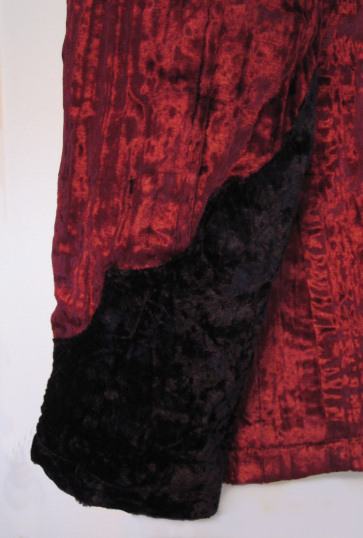 Many colors available and details can be customized to suit any taste.